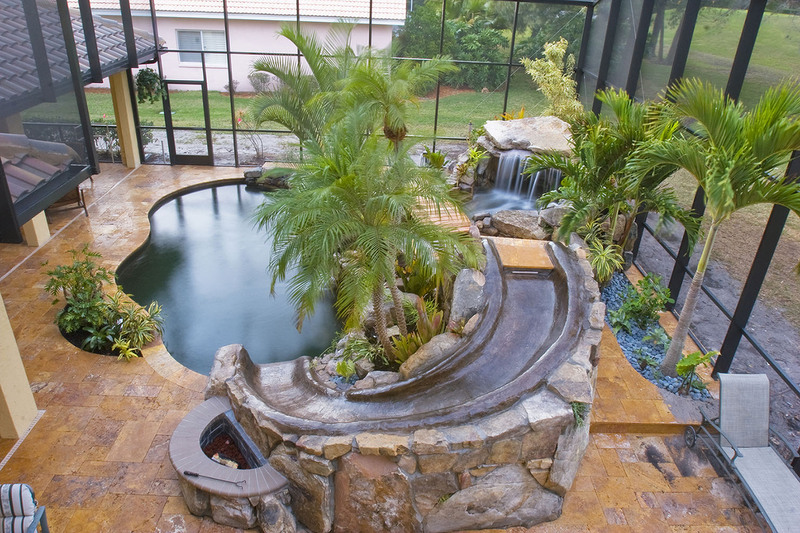 Lucas Lagoons swimming pool remodel with natural stone waterfalls, custom pool slide, multiple stone water features, stone grotto, bridges, stream, travertine decking, natural stone boulder stairs and spa surrounded by tropical landscaping. 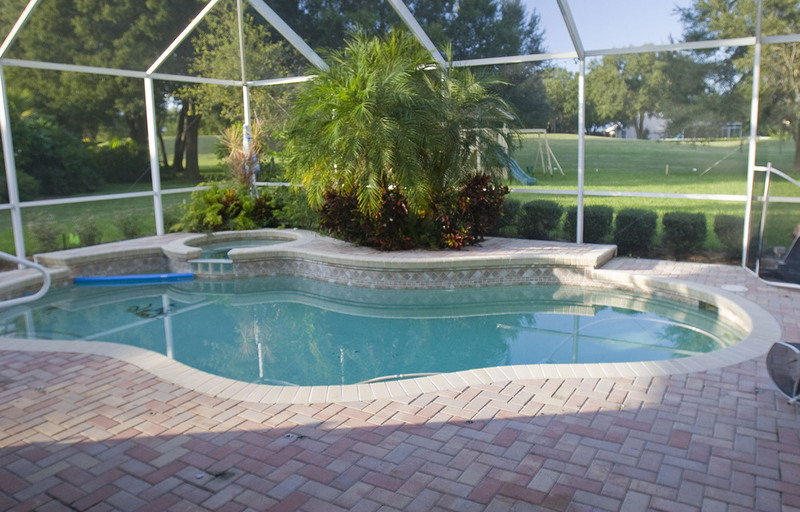 Are you looking for pool companies near me? 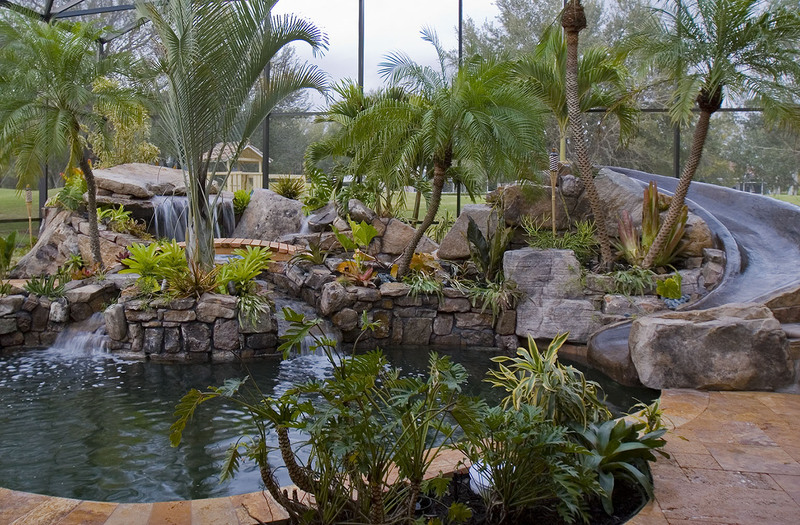 We are a pool contractor providing award-winning pool design & construction. 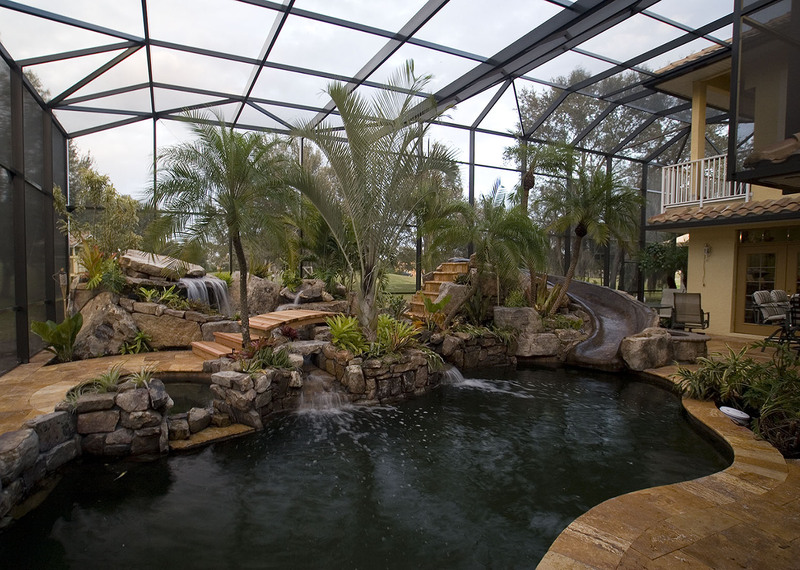 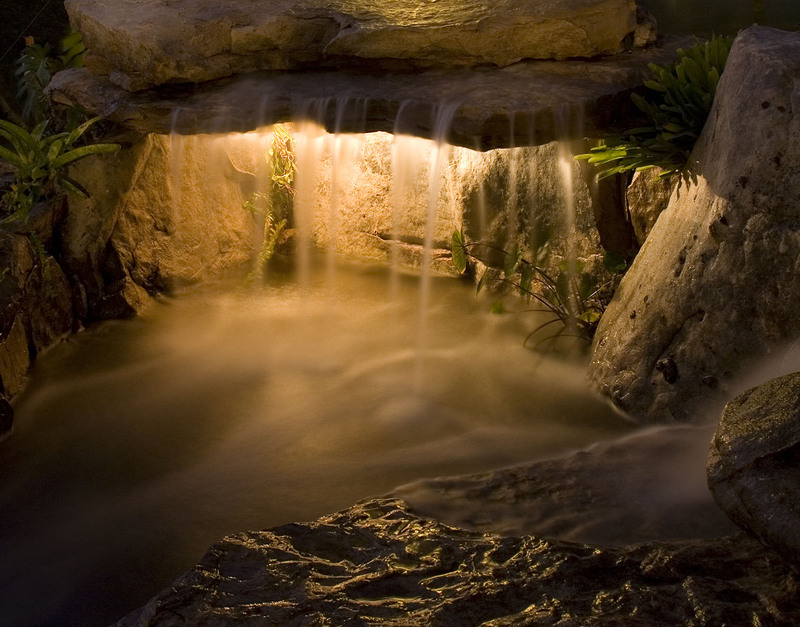 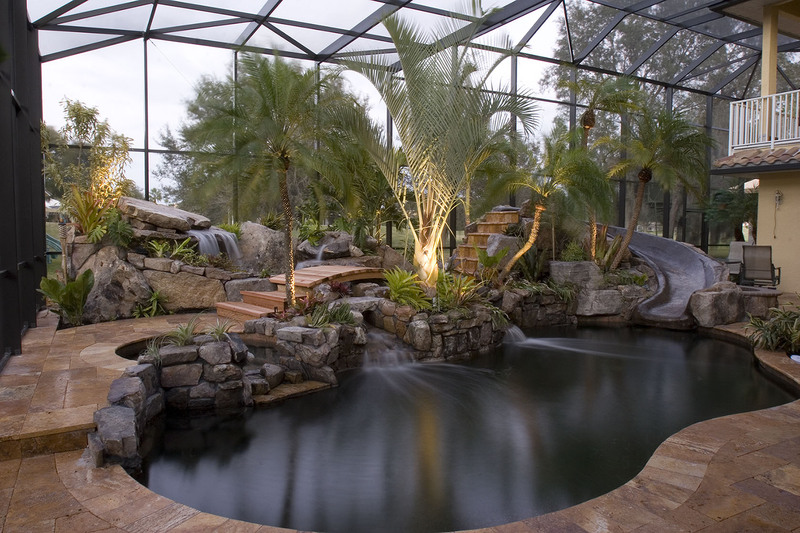 As swimming pool installers, we specialize in the design and construction of custom luxury swimming pools, lagoons, waterfalls, grottos, spas, outdoor kitchens, bars, lighting, and landscaping. 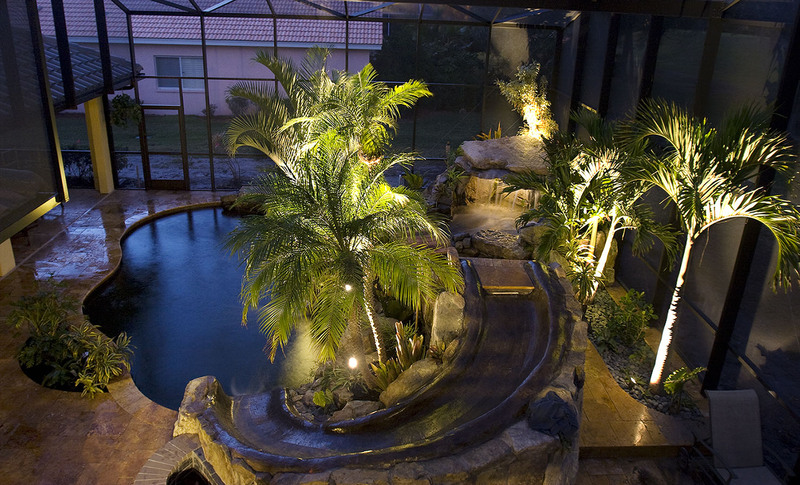 We service Central and South Florida including; Sarasota, Bradenton, Tampa, St Petersburg, Clearwater, Largo, Fort Myers, Cape Coral, Bonita Springs, Naples, Orlando, Port St Lucie, Vero Beach, West Palm Beach, Boca Raton, Pompano Beach, Fort Lauderdale, Hollywood, Miami and the Florida Keys.